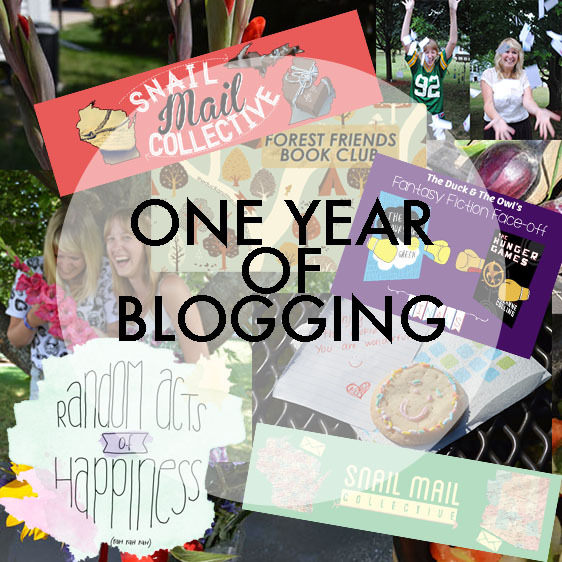 Today is a wonderful day - It's our ONE YEAR BLOGIVERSARY!!!! This past year has been a incredible. We first started this blog because we just wanted to write together. What we got was a beautiful and wonderful community of bloggers. Of course we love to write, but our favorite part if this experience has been interacting with you on a daily basis. Thank you for sharing your ideas and kind words. We've done a lot this year that we had not planned to do when we first started: Theme Weeks, The Forest Friends Book Club, Sunday Sweets & Smiles, had awesome contributors, done inspiring collaborations with many bloggers, and we're working on our first zine! 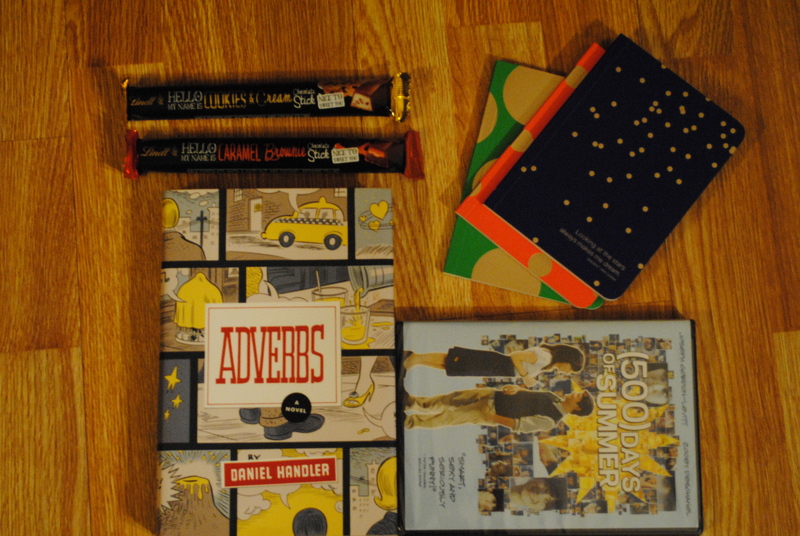 -Adverbs by Daniel Handler (aka Lemony Snicket) - this book looks super cute! "It might sound confusing, but that's love, and as the author -- me -- says, 'It is not the way things are done.'" 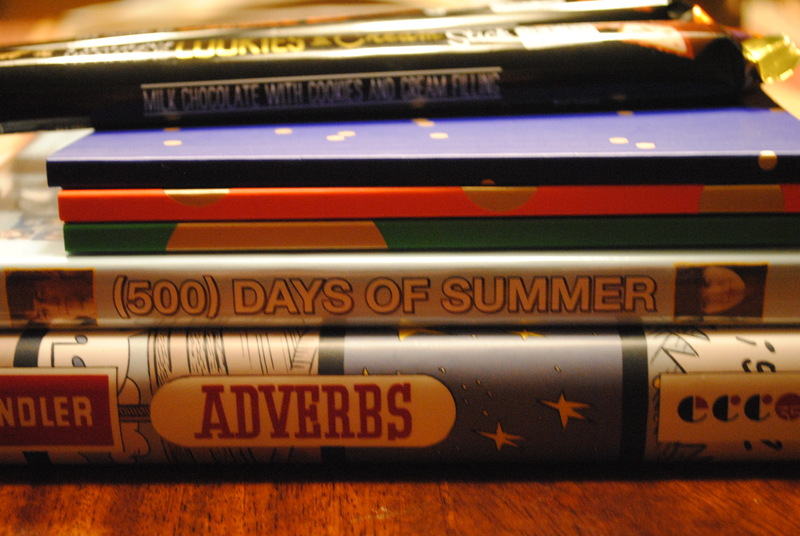 -(500) Days of Summer - two of our favorite actors in one of our favorite movies. YES. 1. You have to be following us through Wordpress or by email (this giveaway is for our subscribers)! 2. Make sure to leave a comment with a question to be entered in the giveaway. There are other ways you can earn more entries. Click the link below. 4. You must be at least 18 or have parents permission because you will need to give us your address. 5. You have until February 21st to enter!